I have to say I have been on quite a barbecue quick lately. I think it is the California warm weather we have been getting. So with that said I just had to make yet another barbecue recipe. I was inspired to make today’s recipe by watching Diners, Drive-In’s and Dives on Food Network. I watch Guy go to all of these wonderful little diners that make the most delicious looking meals. Well on one episode it was all barbecue. I love watching the chefs make rubs, slow cook the meat and then cut and serve! Well I had to give it a try, I never made a rub before, but I do know I love it when I order it at restaurants. 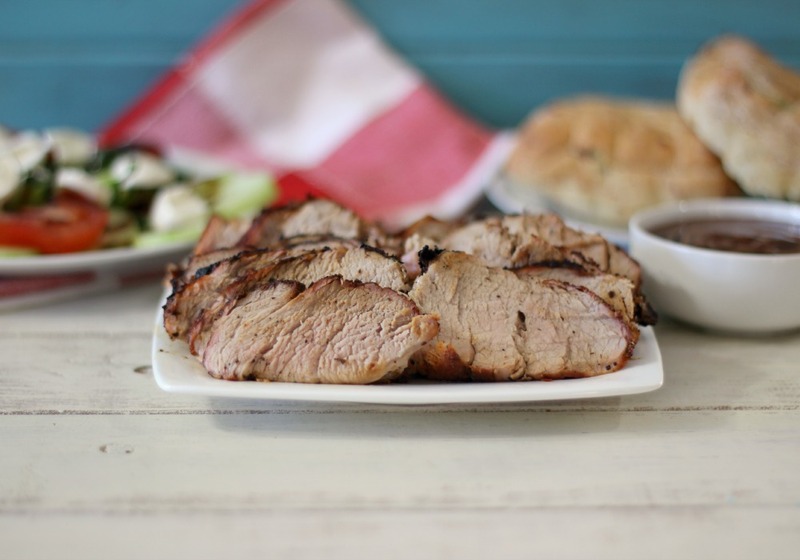 So today I made for you the first time ever on PB and P, Memphis Style Rub, that has been slathered all over a pork tenderloin. OH MY GAWD!!!!!! I love it!! This meal exceeded my expectation! The pork turned out tender, with a nice crispy crust. I debated about slathering barbecue sauce at the end, but then decided against it, glad I did. The rub is slightly sweet, savory and has just a hint of heat from the cayenne pepper. The best part is the ingredients are pretty basic and you probably already have most of it in your pantry. It’s made with paprika, garlic powder, onion powder, chili powder, brown sugar and a few more spices. It’s just amazing!! Plus to boot, you have leftovers to use it on other things! 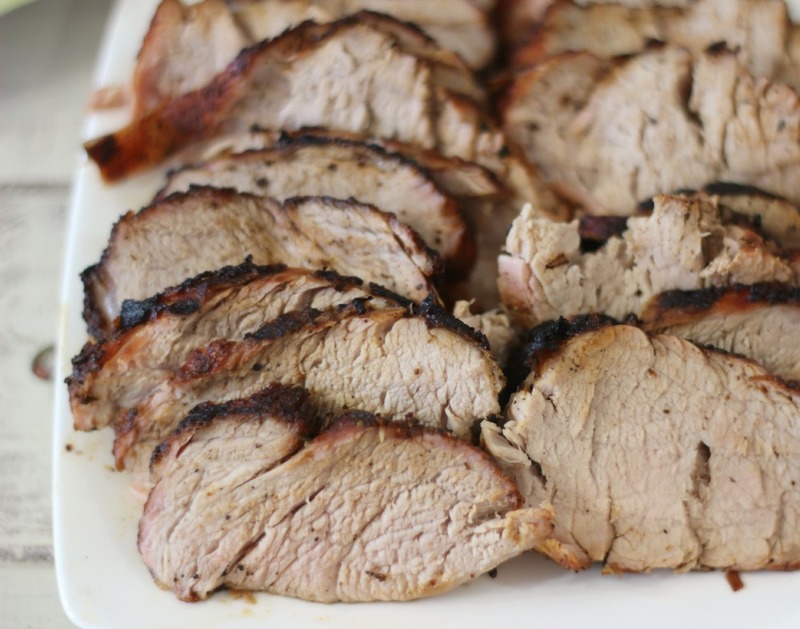 I slathered the rub on my pork and let it marinate for about 4 hours, but you could so do this overnight if you please. I cooked the pork on my charcoal grill, but I gave you directions for a gas grill, because I think that is what most have at home. The directions are pretty much the same, just be sure to watch the pork and rotate it to make sure it doesn’t burn. 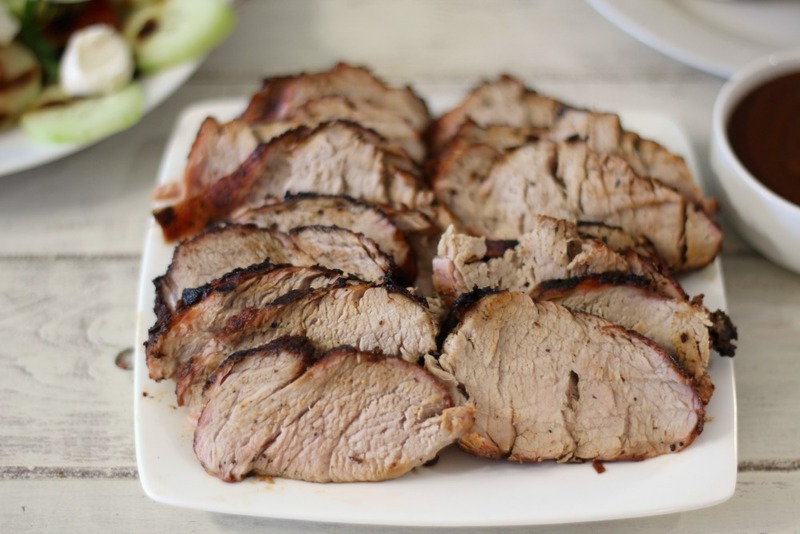 Once the pork is cooked and reaches 160 degrees, I let it sit at room temperature for 10 minutes, just so the juices flow back into the meat. Then I thinly cut it and served it with a side of BBQ sauce, but we really didn’t use it. Honestly it doesn’t need it. I have to admit this is one of my new favorite pork dishes and I can guarantee I will be making it again. I’m thinking different kind of sandwiches! Oh yah, you know me and sandwiches! 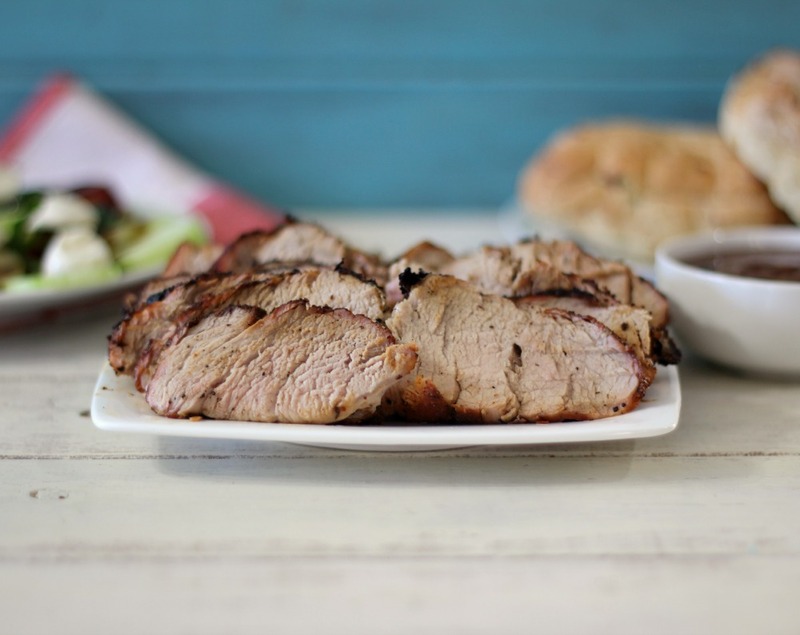 Tender, juicy pork tenderloin that has been marinated in savory, slightly sweet with a kick of heat Memphis style rub. In a bowl, add all of the Memphis Rub ingredients. 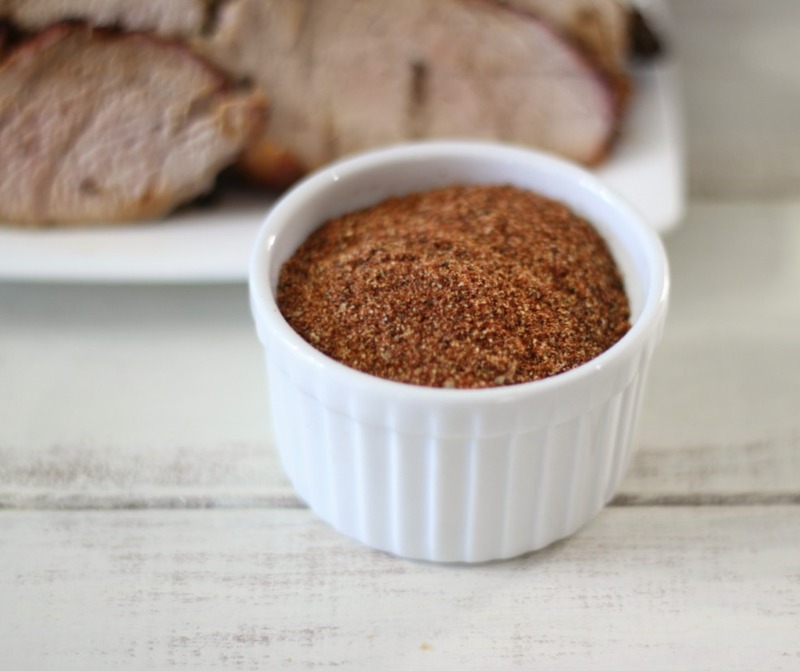 Use about a quarter of the mixture and rub it all over your pork and refrigerate for up to two days. I did it for four hours. Preheat grill to medium low heat. Add pork to grill and cook for 7 minutes, rotate to the side and cook for 6 minutes, rotate and cook for 5 minutes. Make sure temperature registers to 160 degrees. Take pork off grill and let it rest for 10 minutes before cutting. Serve with a side of your favorite barbecue sauce if desired. I didn't add the calories to the rub, because there are barely any. I am just getting so excited for barbecue season!! I have a feeling that I am really going to get into this season, which I am excited for!! I hope wherever you live you will be able to get your grills heated up soon!! This looks awesome. 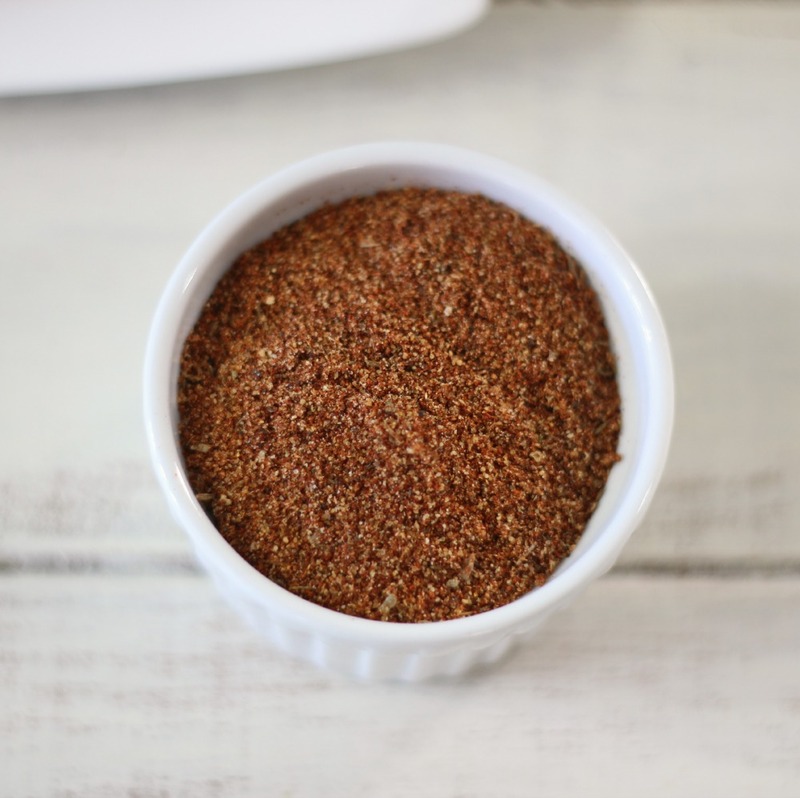 I think this rub will be made in bulk for lots of grilling this summer. I am so ready for the season to begin! Thanks for sharing. What I like about the rub recipe is that it makes quite a bit, so yes I have extra for more recipes!! I am right with you, I look forward to BBQ season!! Nothing beats grilled food!